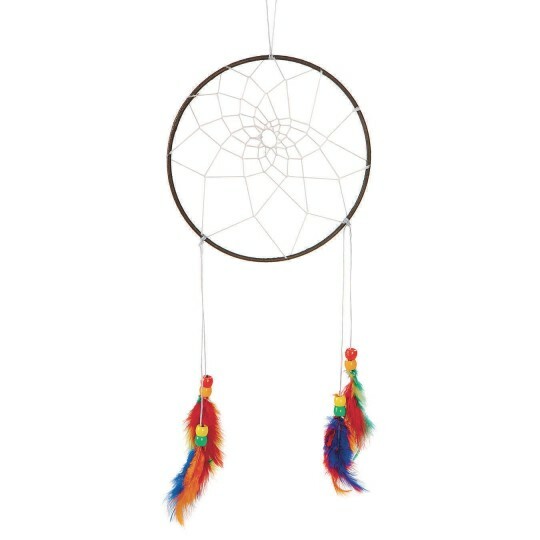 A cherished Native American symbol. Perfect for classroom, after-school or youth group. Comes complete with all materials. Enjoy making these authentic-looking Native American crafts. Complete with all the materials you will need including instructions. 6" diameter. Pack of 15. This is not a good project for people with issues of sight or difficulty using their hands. Even for someone who does not have issues this was a hard project to do. This was used as a group project by kids and adults. The group loved the project! The accessories give you lots of options to make each one unique and they look very authentic. 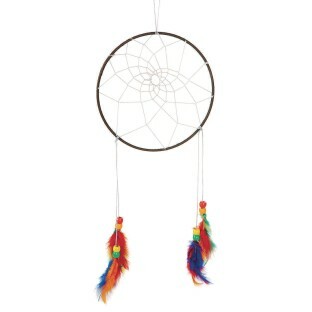 We had some younger kids who used the Easy to Weave Dream Catcher kit. The two kits together worked out great so that every age could be successful. SO nice to find a kit of these! 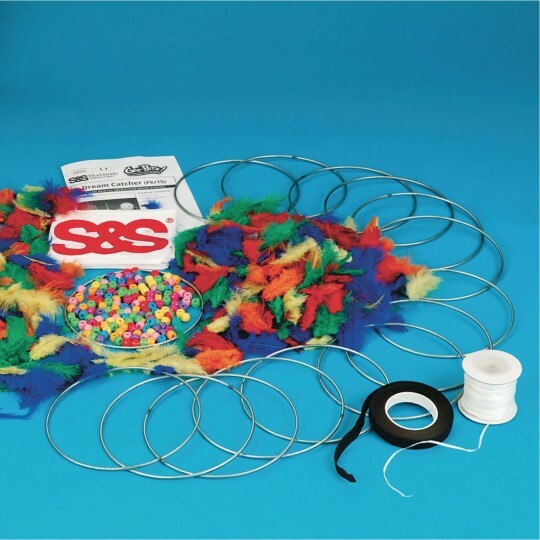 Used these for a project day we knew we wanted to make dream catchers but were pleasantly surprised to find a kit that had everything we needed for less than the price that it would have been to find the supplies individually! We used these at camp and they were excellent. They do require a bit of attention with the kids and helping them figure out the weaving part. The kids and staff loved the finished products.